1. 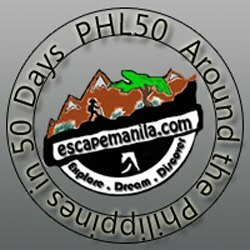 That Philippines is an unsafe place - The country and its Islands are somehow misunderstood. We are actually sending our guests to safe places. If you're a first time visitor, do not be surprised of the genuinely warm and friendly nature of the Filipino people. 2. That all parts of Mindanao are dangerous - Visit Davao, and experience one of the most safest City in the country. 3. That is is expensive to travel to the Philippines from Mainland Asia - Think again, visit the website of Cebu Pacific, Airphil Express, Air Asia and Jetstar and you will see that is is actually cheap to visit and discover the Philippines. 4. That Filipinos eat dogs - While this is true, only a small percentage of the population are eating dog meat so do not expect to see people killing and eating dogs when you visit the Philippines. 5. That it is difficult to travel inter-island - Definitely not true, lots of budget airlines, ships and buses are connecting the Islands of the the Philippines.